“And when Herod the king heard it, he was troubled, and all Jerusalem with him. And gathering together all the chief priests and scribes of the people, he began to inquire of them where the Christ was to be born. For example let’s talk about Galilee. Galilee is important. It is mentioned in 65 verses of the Gospels (Galilee, Galilean, Galileans) and Jesus’ origin there is a recurring theme in the accounts of his life. Galilee was the right place for Jesus to grow up, the right place for him to begin preaching the kingdom. Let’s leave aside for the moment, the references to Zebulon and Naphtali (that will be addressed in great detail in the upcoming research report, Understanding the Times: How Issachar and Zebulon Gained Superior Insight), let’s focus on what sort of a place Galilee was. 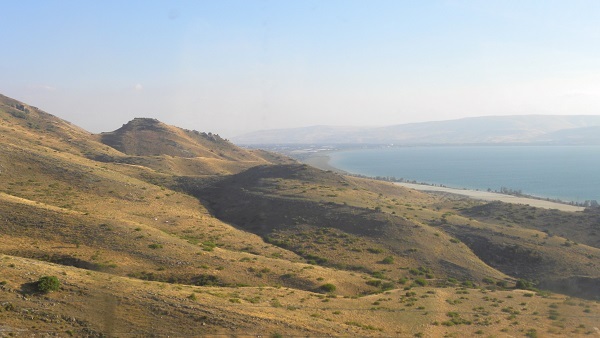 Galilee was politically, culturally, geographically and economically distinct from Judaea in the south of ancient Israel. Some of the history is debated but it was most likely colonized by Jewish nationalists out of Judea who wanted to extend Jewish culture and Israelite national interest into what had become largely pagan territory. These settlers were religiously conservative, but also used to dealing with pagan culture. They constituted the frontier of Jewish culture to the North. Upper Galilee is mountainous, and therefore difficult to pass. Lower Galilee on the other hand, where Jesus lived and traveled throughout the Gospel accounts, was much flatter and more passable and well served by cross roads. This made it a major trading thoroughfare. In other words, Galilee was a commercial region, a way station on the way from the East to the Mediterranean ports. This means that anyone who grew up in Galilee and was reasonably well traveled (which it appears that Jesus was) would have encountered many different types of people from many different types of background. They would learn to be comfortable among Jews, Greeks, Romans and traders from the former Babylonian and Persian regions. They would be exposed to multiple languages and cultures. The economy and social hierarchy appear to be flatter than Judea to the East and more so than the rest of the ‘known world’ at the time. It was a near universal in the ancient Mediterranean region that urban elites saw rural peasants as virtually sub-human. While Galilee did not have a fully egalitarian relationship between peasants and metropolitans, the research indicates an unusual degree of reciprocity. Not full equality but more mutual respect that the norm. “As L. White has observed, for medieval agrarian societies, “cities were atolls of civilization on an ocean of primitivism:’ This description of ancient society) while typical for classical historians, should be modified somewhat for Lower Galilee. In the first place, E. Meyers has shown that Greek made strong inroads into that region. 13 Thus the linguistic differences between urban and rural areas, so marked in other parts of the empire) were less striking-though still existent-in Lower Galilee. Second, D. R. Edwards has argued persuasively for economic reciprocity and cultural continuity between urban and rural areas of Lower, Galilee. The economic conditions also appear to reflect less hierarchy. Archeological evidence indicates that Galilee was made up largely of agricultural ‘freeholders’, small farmers who owned the land they worked. It had small industry as well. For example stoneware from Galilee is found throughout the region (confirmed by the latest nuclear analysis). There was a thriving fishing industry. In other words, we see not just sustenance fishing, but industrial fishing. Fish were caught, dried, salted and exported. Galilee was reasonably prosperous and prospered in a way that an economy does when it is relatively young, before interest group political manipulation leads to economic concentration through political power. We know all this through a combination of original source documents, such as the historical works of Josephus as well as an explosion in recent decades of archeological activity in the region. The actual material remains that have been unearthed have severely undermined a general consensus among academic Biblical scholars that Galilee was very poor, with a large proletariat (the anachronism is intended) of disposed farmers with nothing to lose waiting for a poor, revolutionary leaders, like Jesus to lead their social protest movement. Those theories are based on theoretical models and more than a dollop of revolutionary chic from the 70s and 80s. But that is not the picture painted in the Gospels, nor in the historical strata.